Do you think Netflix is worried about the fact that Hulu Plus now has over 1.5 million subscribers? Well, think again. According to the letter its managers wrote to its shareholders today following the release of its its Q4 earnings, the film & TV streaming and DVD rental service is much more concerned about TV Everywhere and similar services than about over-the-top (OTT) pure players such as Hulu Plus and Amazon Prime. Even its conviction that Amazon will “brand their video subscription offering as a standalone service at a price less than [Netflix’s]”, echoing earlier reports, doesn’t seem a major source of concern for the company. Call it bravado if you want, but Netflix boasts a much larger catalogue than Amazon and Hulu Plus. This also reflects on viewing times: while Netflix’s subscribers streamed 2 billion hours of content in the last quarter, the company believes that Amazon and Hulu Plus’s “respective total viewing hours are each less than 10% of [Netflix’s].” What it doesn’t say, of course, is that Hulu’s free, ad-supported streaming service also attracts millions of eyeballs. 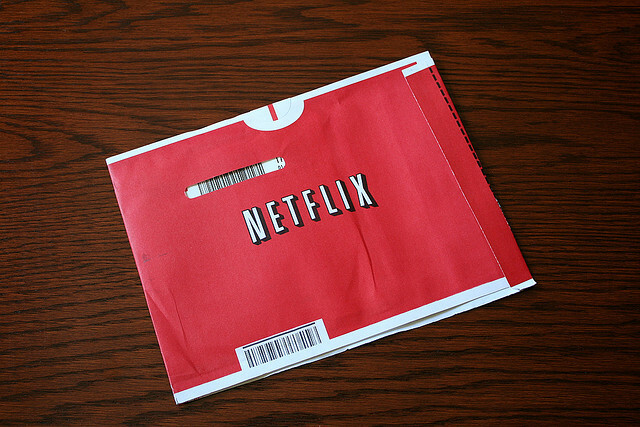 While Netflix doesn’t reveal how much it spends on acquisitions, its budget reportedly amounts to $2b, compared to Hulu’s $500m content licensing envelope for 2012. “As we’ve often said, we see the biggest long term threat as TV Everywhere, and in particular, HBO GO, the leading implementation of TV Everywhere to date. HBO has some great content, particularly their original series, but today for most people it is locked behind a linear interface, or at best, behind a DVR interface and in all cases tethered to a linear subscription plan. As HBO GO grows and becomes the primary way that consumers experience HBO, it will become a much more effective competitor for viewing time. Similarly, Showtime’s TV Everywhere application is very impressive and just starting to gain traction. Every major network is investing in their Internet application, on tablets, smart TVs, phones, game consoles, and laptops. Pricing is simple: the consumer just authenticates with their MVPD provider. Over the next few years, UIs will evolve in astounding ways, such as allowing viewers to watch eight simultaneous games on ESPN, color coding where the best action is in a given moment or allowing Olympics fans the ability to control their own slow-motion replays. A decade from now, choosing a linear feed from a broadcast grid of 200 channels will seem like using a rotary dial telephone,” Netflix’s managers wrote. It’s interesting to see Netflix highlighting several positive aspects of HBO GO. It means it is taking the competition seriously – and it should. Earlier this month, we learned that HBO would no longer provide Netflix with new DVD titles. Since HBO programming isn’t available for streaming on Netflix, this likely means that the broadcaster decided to limit the benefit of its substantial investments in original programming to its own service. “Just as broadcast networks have substantially transformed themselves into cable channels over the last twenty years, both broadcast and cable networks will effectively also become Internet networks like Netflix. As a pure-play we have many advantages, however, just as cable did over broadcast. We are 100% on-demand and highly-personalized. Our brand is broad, rather than niche, so we can combine the benefits of multiple channels into one service. Additionally, our Internet culture enables us to create and drive social TV, recommendations TV, and other Internet innovations faster than our cable and broadcast network competitors. In other words, Netflix wants to coexist with cable rather than kill it – or so it says. Hastings made it very clear during the Q&A session that followed today’s earnings announcement: “Entering in a cordcutting battle is not in Netflix’s interest,” he said. Of course, it may have to do with Netflix’s desire to maintain good relationships with the broadcasters it has to partner with. Still, the consequences are very immediate, and ‘Breaking Bad’s’ fans shouldn’t expect to watch the latest episode on Netflix after it airs on TV. The company plans to stay away from catch-up TV and will keep on focusing on prior seasons – a vast enough segment that it can offer at a low subscription price point, Hastings explained. Despite this positioning, Netflix also seems to be taking preventive measures in case its TV content pipeline dries up for any reason, for instance if the competition for exclusive rights for shows such as ‘Mad Men’ become too intense (though Netflix made it clear it is ready to counterbid). Besides Netflix’s efforts to maintain healthy relationships with cable operators, the most emblematic of these measures is Netflix’s foray into original programming. While the budget allocated to original production is still modest, premium exclusive would give its subscribers a good reason to sign up for its service. Do you think Netflix and cable can coexist? Would you pay for both? Let us know in the comments.